Anyone who watches Food Network these days has seen the success stories of many famous restaurant owners. These stories are fascinating, when you consider where many of these famous restaurant chefs started, including as a housewife with agoraphobia, and simple dishwasher in the restaurant kitchen. While owning a restaurant won't necessarily make you famous, these success stories are inspiring. And as with the case with Paula Deen, offer a cautionary tale about running a business. 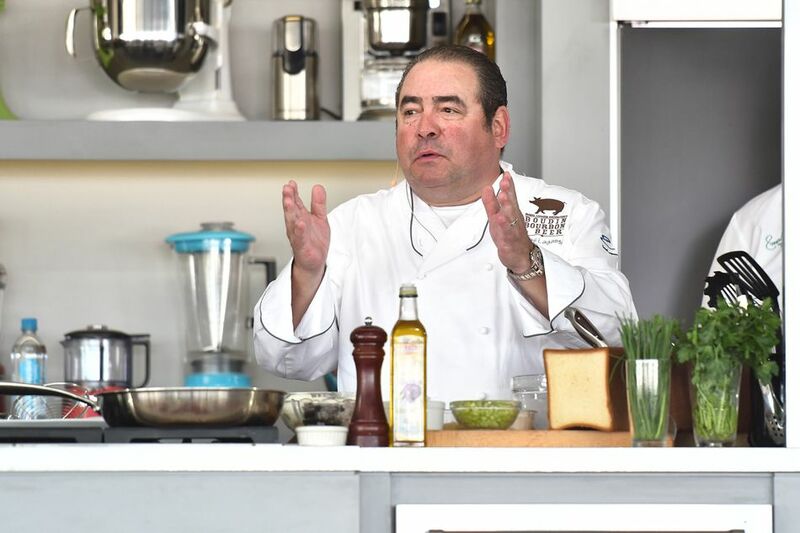 Emeril Lagasse was the original Food Network star. Before his signature statement “Bam!” became a household term, Emeril was learning the ropes of the restaurant industry in Fall River, Massachusetts, where he worked in a Portuguese Bakery during high school. After attending Johnson and Wales in Rhode Island, Emeril polished up his cooking skills in France. In 1982 Emeril headed south to Louisiana, where he became the Executive Chef of Commander’s Palace. It was there he opened his first restaurant in 1990. Others soon followed. In 1993, Emeril helped launch a new cable TV station; no one had ever heard of called Food Network. Within a decade Emeril and his no-hold-bars cooking style were everywhere, with custom cookware lines, sauces, and rubs featuring his special blends of ingredients, cookbooks, and stints on morning news shows, in addition to the many duties he held at Food Network. Paula Deen is another Food Network star who started out in humble beginnings. Paula was born in Georgia in 1947. She was a vivacious girl who won beauty pageants. Shortly after high school she married and had two sons, Jamie and Bobby. Following the unexpected deaths of both of her parents, Paula developed agoraphobia- a fear of public places. After several years of suffering from this condition, Paula was able to overcome it and begin working as a teller in a local bank. Following her divorce, Paula decided to venture into the catering business. She made bagged lunches up every day, and her boys went around the local businesses in Savannah, selling them. The Bag Lady was a hit. A few years later Paula opened her first restaurant The Lady. Eventually, it would become The Lady and Sons and is one of the most popular attractions in Savannah. Paula got her TV break doing a segment with Gordon Elliot on Door Knock Dinners. Producers liked her old-fashion southern charm so much; she was offered her own show, Paula’s Home Cooking. At her peak, Paula had her own line of cookware at WalMart (now replaced by Ree Drummond, Pioneer Woman), frozen foods, cookbooks and many guest spots on Food Network. Unfortunately, Paula suffered a major fall from grace when she was accused of racist comments and slurs by her longtime cook. Today Paula keeps a much lower profile. Diabetes and divorce rumors swirl about her, but she remains active online, and her restaurants are still going strong. Gordon Ramsay took the United States by storm with his television shows Hell’s Kitchen and Ramsay’s Kitchen Nightmares. Not afraid of dropping a few f-bombs on national TV, Gordon sets restaurant owners strait and weeds out wannabe professional restaurateurs. Following injuries that ended a promising football career, Gordon decided to go to college for hotel management. After school, he worked at a series of restaurants in London and opened his first restaurant in 1998. Gordon was already highly successful in the UK before hopping across the pond to the United States. Currently, he owns restaurants in Dubai, Tokyo, and Ireland. Originally from Austria, Wolfgang Puck immigrated to the United States in 1973. After working at a series of high-end restaurants, he opened his first restaurant, Spago, in 1982. Since that time, Wolfgang Puck has opened several other restaurants, including Chinois on Main, Postrio, Granita and Trattoria del Lupo. Along with these award-winning eateries, Puck is the author of several cookbooks and has made numerous TV appearances. In 2000 his Emmy award-winning cooking show, Wolfgang Puck, debuted on Food Network, bringing him to a new level of celebrity. Did you know that Spago is Italian slang for Spaghetti?